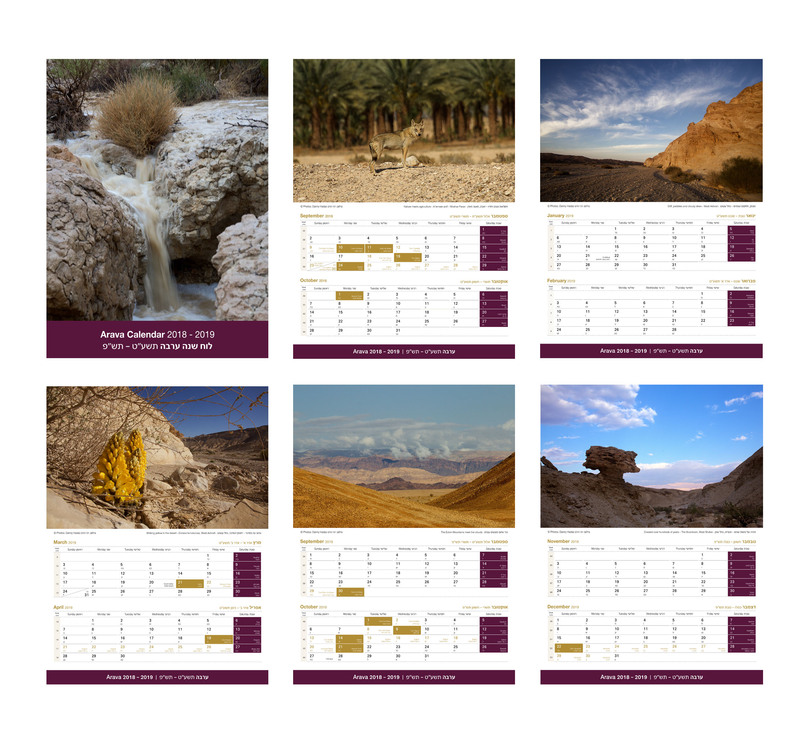 A 9 page spiral bound wall calendar portraying the beautiful landscapes of the Arava valley, featuring all of the Jewish holidays. Each page displays two months, beginning from the Hebrew New Year (September 2018) and ending in December 2019. 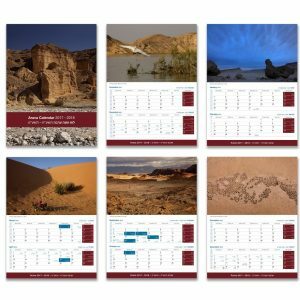 Calendar is professionally printed on high quality heavy cardstock paper with a matte finish. Colours may vary slightly depending on your monitor settings. Image shows only a selection of pages from the calendar. The Arava Calendar includes 9 of Danny’s stunning images of the Arava desert; this is a 16 month calendar, from 1st September 2018 until 31st December 2019 printed in English and Hebrew. We offer a 12% discount if you purchase 5 or more calendars. As the postal service here in Israel and abroad is beyond our control, we can only guarantee to ship the items as soon as possible. If you are interested in an express order (at extra cost) please contact us before you purchase from the website so we can check shipping options and prices. Great care is taken to wrap and pack your order carefully to avoid any damage in transit. However, if this does happen, we would ask that you contact us as soon as possible.